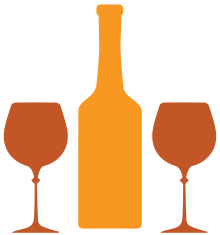 Win an Instant Wine Collection! Four Prize Lots will be awarded. Each $40 ticket is your chance to win an instant wine collection. Only 300 tickets will be sold. The drawing takes place at Metropolitan’s 18th Annual DuPage Gala at Bobak’s Signature Events at Seven Bridges on Friday, May 10, 2019. It’s not necessary to be present to win, but you must be 21 years of age. All proceeds of the raffle benefit the programs and services of Metropolitan Family Services DuPage. Have questions? Contact Vivian DiNardo at dinardov@metrofamily.org or 312-986-4225.